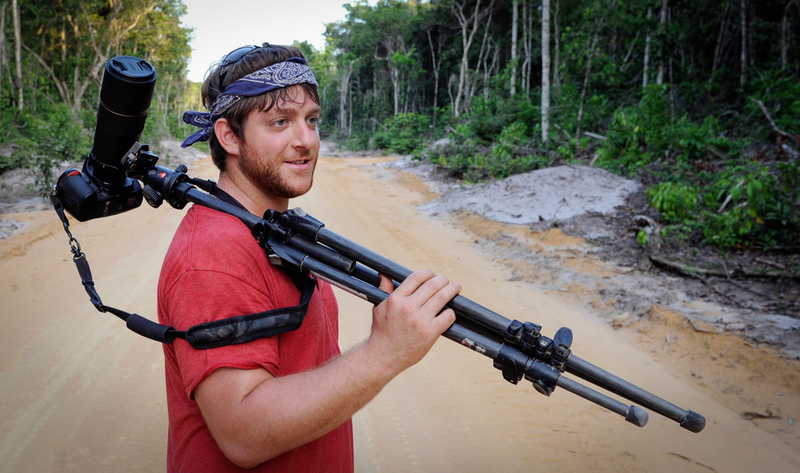 Andrew is a conservationist and photographer specialising in reptiles and amphibians throughout Guyana. 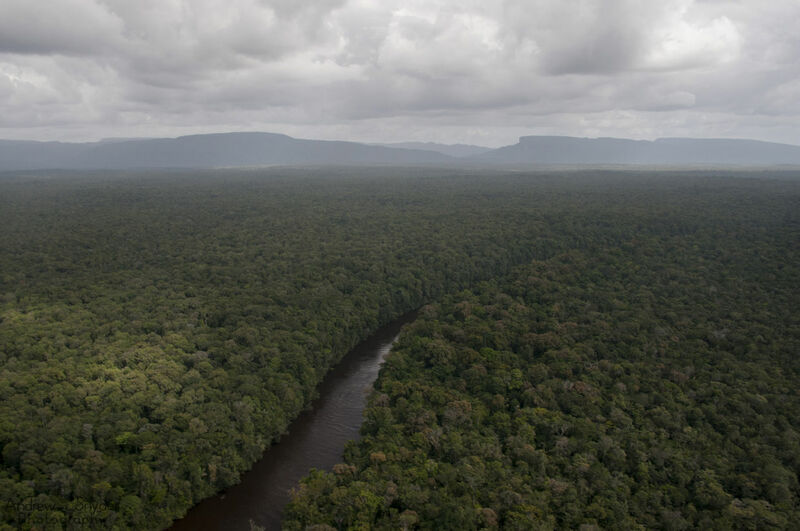 Boasting more intact rainforest per area than any other country, Guyana has for Andrew become a home away from home. Here he shares his field experiences and explores some of the challenges Guyana might face in conserving it’s precious natural resources. Oh, and lots of pictures of spiders and snakes, you have been warned! Bio: I am currently a graduate student based at the University of Mississippi. My research is focused on the evolution of Neotropical reptiles and amphibians, currently with an emphasis on the Guiana Shield. Over the years I’ve conducted extensive fieldwork, first for a few summers to the cloud forests of Cusuco National Park in Honduras and now for the past few years all throughout the country of Guyana. Hi Andrew, tell us what got you interested in conservation? 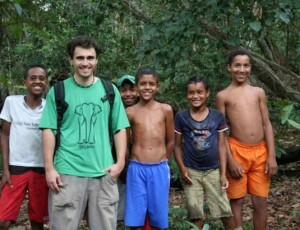 My interest in conservation undoubtedly stems from my childhood fascination of constantly exploring the great outdoors. Whether it was physically venturing to the local forests and ponds near my home or with my nose stuck in books about wildlife, I’ve always been captivated by the natural world. I think it naturally follows suit that with the dedication to studying it and better understanding it for my career comes the desire to maintain it in perpetuity. Some of my greatest joys in life have come from observations and experiences I’ve had in the field, and to think that my children, or even my children’s children would never have the opportunity to have these same experiences is truly devastating to me. 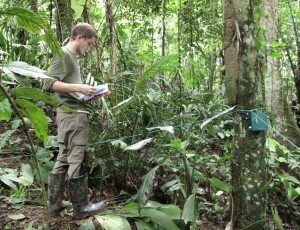 You have worked extensively out in Guiana, what can you tell us about your research? My research broadly focuses on the evolution of reptiles and amphibians throughout the Guiana Shield. My personal sampling has been confined to Guyana, but through museums and collaborators, the entire Shield is represented. I am examining patterns of evolution at various scales, from population-level genetics to the much broader comparative phylogeography of a variety of reptiles and amphibians with overlapping ranges. For those who don’t know what comparative phylogeography is, loosely, I am examining the geographic distribution of genealogical lineages for a variety of species. In doing so I will be examining how certain historical processes such as changing geological conditions (mountain uplift, river formation/disappearance) or climate has influenced the present day distribution of species. These types of studies are insightful for understanding what factors have been responsible for generating so many species in this region and can help in making inferences as to how the biogeography has changed over time. How will this research fit into the broader conservation picture for the region? 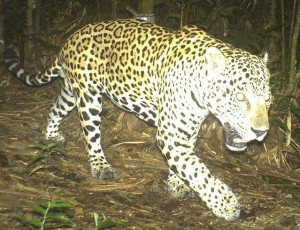 While the results will be specific to my study species, it is possible that this research might uncover particular genetic biodiversity “hotspots,” regions that have generated distinct lineages, and that may be of important future conservation value and worth evaluating for other species as well. While much of these surveys have been specifically for my PhD, I’m often the first herpetologist to explore these regions so I’m frequently providing the initial inventory of these locations’ herpetofauna. TOP: The muddy brown water of the Potaro River meanders through tropical rainforest on Guyana’s Kaieteur Plateau. BOTTOM LEFT: Similar to amphibians, biphasic lifestyle of dragonflies makes them valuable indicator species for two different ecosystems. 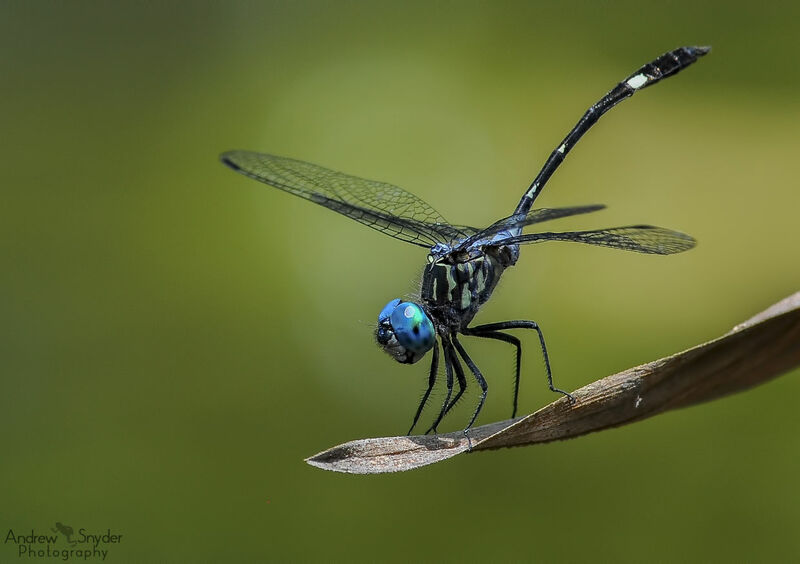 This dragonfly (Micrathyria sp.) is incredible, in large part because of its stunning eyes. BOTTOM RIGHT: Black caiman (Melanosuchus niger) are the dominant predators (not including humans) on most rivers. "Guyana has truly become home away from home for me. " Guyana is a fairly unusual place to work! Can you tell us what life is like in the field? Over the years my research has taken me all throughout Guyana. For my initial PhD work, my fieldwork focused on the Iwokrama rainforest and the Kanuku Mountains. As of the timing of this interview, I’ve made seven trips to Guyana. 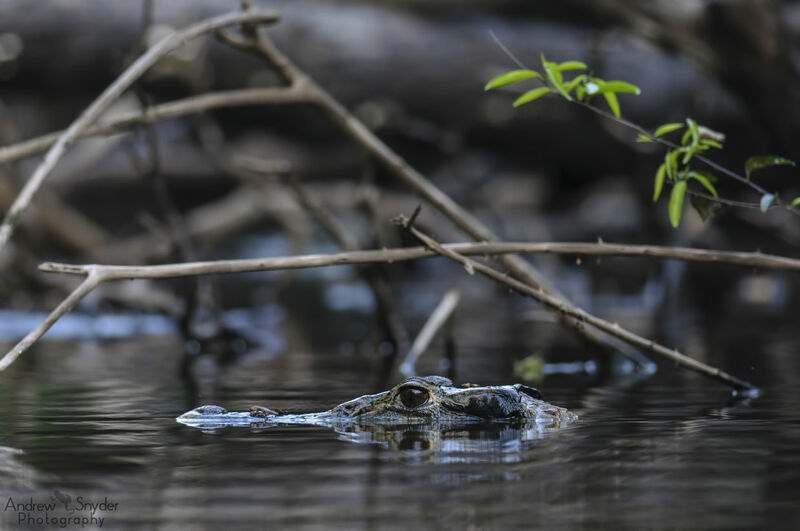 Three of these trips have been as the herpetologist for the joint World Wildlife Fund-Guianas/Global Wildlife Conservation’s newly formed Biodiversity Assessment Team. Tasked with documenting the biodiversity in unexplored, biologically unknown locations within Guyana of high conservation importance, I’ve been very fortunate to be able to collect important samples that would have otherwise not been possible. Travelling to these research sites varies depending on the time of year and remoteness of locations. To some it requires an overnight, overcrowded, uncomfortable mini-bus journey along the unpredictable Georgetown-Lethem road. Some locations I’ve only been able to reach via helicopter, while others require lengthy river travel. My field camps tend to be very basic, one large tarp is set up for our cooking and specimen processing area, and our hammocks are erected wherever there are suitable trees. We typically select locations that are next to a river, providing us easy access to freshwater and fish, as well as a bathing area. Carbohydrate staples are either rice or farine (essentially a “cereal” made from cassava). Depending on the fish, we will make stews with them (many catfish), fry them (some catfish), or salt and smoke them (piranhas). Otherwise, our fine dining includes foods like canned sardines or crackers and peanut butter. What might a typical day for you entail? Typically, we arrive at a new site via boat early in the morning, allowing an hour or so to find a suitable camping area, clearing the low lying shrubs, and setting up our base camp. After relaxing over lunch, we set out to start cutting the trails that we will use for surveying over the course of the next few days. After heading back for dinner and some downtime, we adorn our headlamps and set back out again for the night survey. Everyday, my team and I set out each morning and night surveying our transects or areas we want to opportunistically target. I spend the better part of every day between lunch and dinner processing specimens and tissue samples and also on my photography. After a few days to a week, camp is broken down, a new location is selected, and we repeat the process. 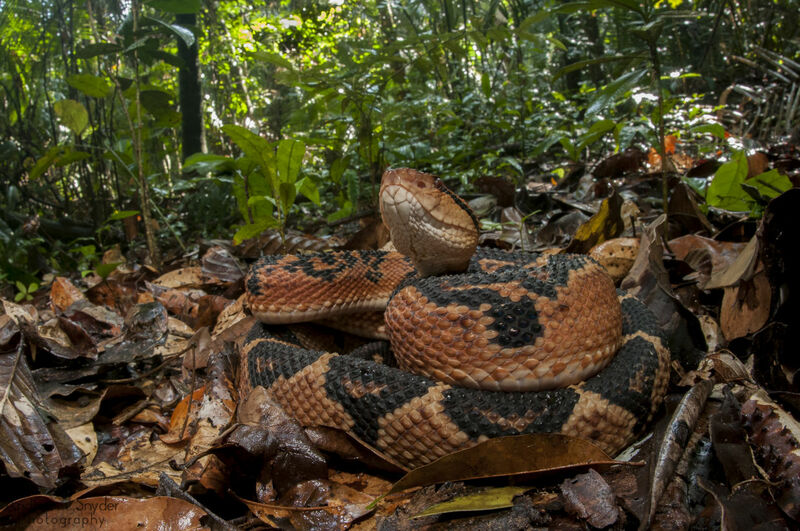 TOP: The largest species of viper in the New World, the Bushmaster (Lachesis muta) is also the only one that lays eggs rather than giving birth to live young. MIDDLE LEFT: An adult Smooth-sided toad (Rhaebo guttatus) stands before a small creek where she was found. This species is actually capable of projectile shooting toxins from its parotoid glands by forcing its scapula into the gland, and has been known to cause blindness. MIDDLE RIGHT: An adult Bi-striped viper (Bothriopsis bilineata) perched above a small stream. "What photography does is gives people the ability to see, to know, and to become intimately connected to a place and its wildlife without ever stepping foot there." 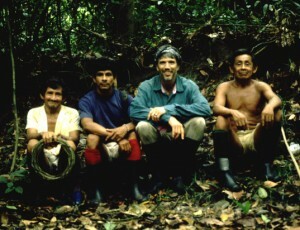 Working in the rainforest must be a very special experience. What have been the highlights? Guyana is such an incredibly diverse place. Not just in the species and habitats, but in culture too. When you get to spend so much time in another country, being able to fully experience and ingratiate oneself in it brings a connection far greater than just living in the rainforest. From the food to the friendships that have been formed, Guyana has truly become home away from home for me. That said, as a biologist and a photographer, the diversity of habitats and biodiversity is remarkable and what continues to bring me back for more (well, my PhD research has something to do with it also). There’s always so much to see and seemingly surprises around every corner. In the same area, being able to find the world’s largest tarantula (Theraphosa blondi/stirmi), the world’s largest viper in the Bushmaster (Lachesis muta), anacondas (Eunectes murinus), and then of course not to mention the possibility of jaguars, tapirs, and other large charismatic mammals, it doesn’t get much better. At the same time, this environment can be very unforgiving! What aspects are the hardest? As with tropical fieldwork in any location, the biggest challenge typically comes from the unpredictability with the weather. 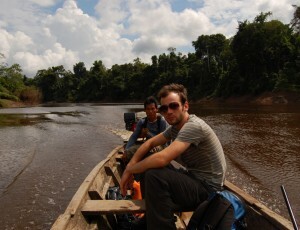 In Guyana, much of my transportation requires rivers for travel, and a long dry spell might mean that a key research site is temporarily inaccessible. 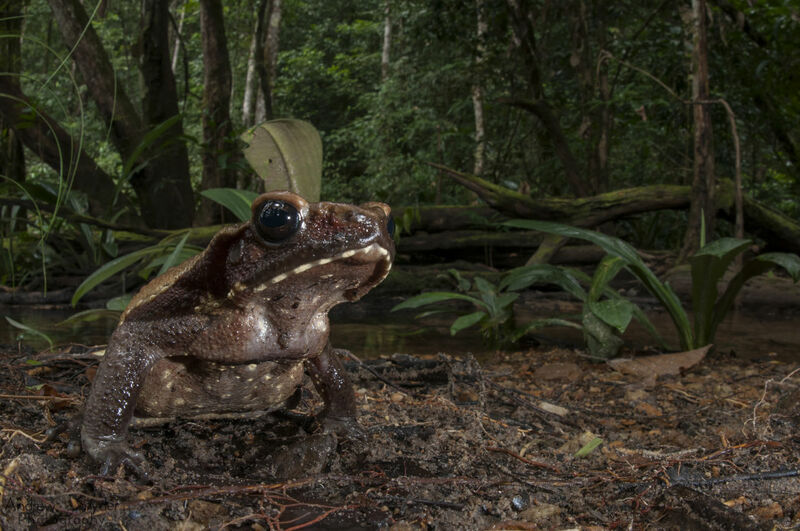 Additionally, the activity of many of my research subjects is also dependent on rain, so no rain sometimes equates to no frogs. On top of that, the work tends to be tiresome. The peak activity periods for reptiles and amphibians tends to be early in the morning and then after nightfall. Instead of getting to enjoy afternoon naps, I typically head back out into the bush armed with my photography equipment to make images of the incredible locations I get to survey and of the wildlife I get to encounter. As well as a scientist, you’re quite well known as a photographer. Can you tell us about the role you think photography plays in conservation? I believe photography plays a vital role in conservation. What photography does is gives people the ability to see, to know, and to become intimately connected to a place and its wildlife without ever stepping foot there. There can be something very powerful in still images. I know, because it’s a big reason that I’m doing what I’m doing today, just like other nature and wildlife photographers. Photography plays a key role in inspiring people to get outside and see and enjoy nature for themselves. People don’t need to travel exotic locations just to see incredible wildlife; it’s all around them. Photography works to make people aware, and with awareness comes a sense of caring, and this is why photography is important in conservation. Since I was little, I flocked most to books about the rainforest and knew from an early age that these were the places where I wanted to spend part of my life. Without the images in the book, I wouldn’t have been so driven to become a biologist, a conservationist, and a photographer, so that is one of the things I hope to accomplish with my images— inspiring the next generation of conservationists. I also think it’s more important now than ever for scientists/biologists who have a knack for photography to take it seriously for sharing the message of the work they are doing. It is with this in mind that inspired myself, and a few fellow PhD students to form the group RACERS (www.racersglobal.com). It is our mission to communicate to both the general public and the scientific community about the science and the conservation work we do, as well as the stunning locations we are able to spend time. In some aspects, I think is more important that the non-scientific community feels engaged by the work we (as scientists, not just RACERS) do because it is this collective that can make the most change. 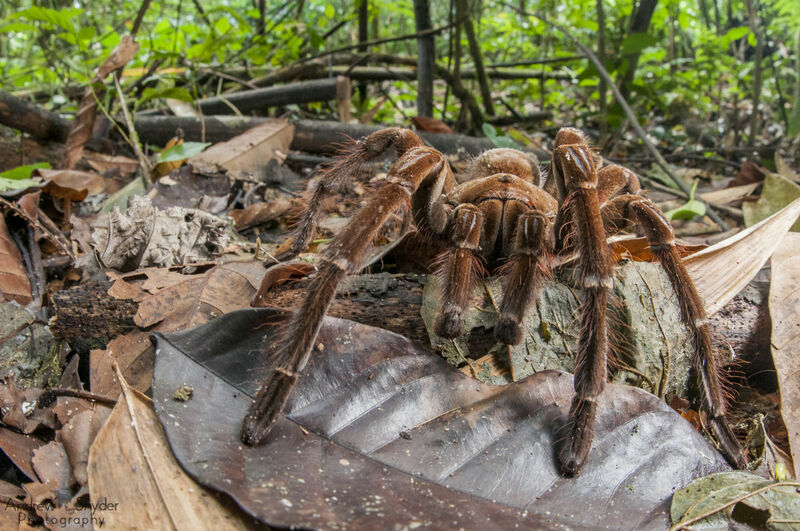 TOP: A male Burgundy Bird-eater (Theraphosa stirmi) on the hunt for a female in the Kanuku Mountains. 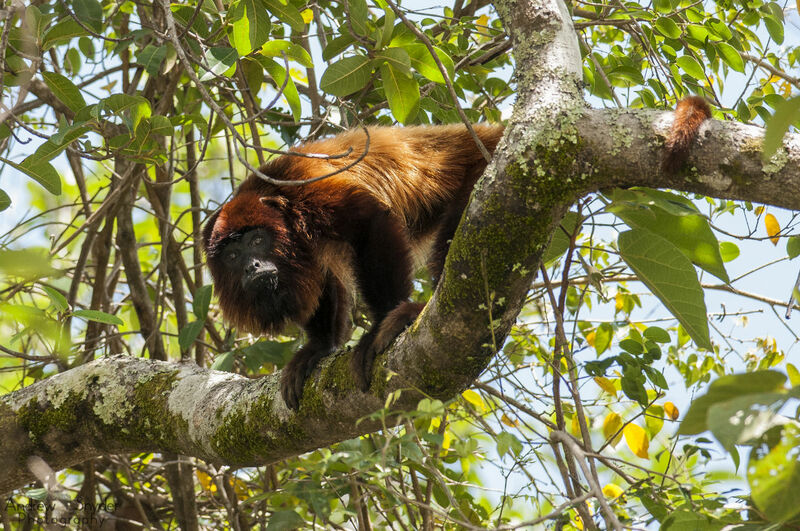 MIDDLE LEFT: Every morning, the calls of Guianan Red howler monkeys (Alouatta macconnelli) act as alarm clocks in the tropical rainforests. MIDDLE RIGHT: Logs waiting to be extracted from the forest. 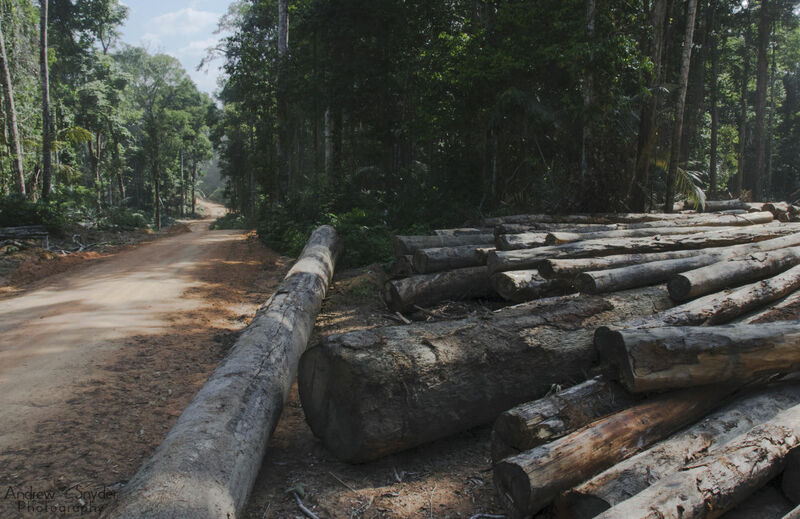 Typically, logs are supposed to be processed within Guyana, though certain logging concessions have recently come under attack for exporting raw logs. BOTTOM: Guyana’s south Rupununi Savannah harbors a unique subspecies of the Neotropical Rattlesnake (Crotalus durissus trigonicus), a species that is often the cause of serious bites. "..to think that my children, or even my children’s children would never have the opportunity to have these same experiences is truly devastating to me." Guyana is a country we don’t hear a great deal about in the UK. Can you give us your perspective on conservation and the future of Guyana’s biodiversity? This is a topic that I could go on at great length about. As I mentioned before, Guyana has a tremendous variety of habitats, and actually boasts more in tact tropical rainforest per area than any other country. That said, like other tropical forested countries, it is not without many threats. Guyana is very rich in natural resources-timber, gold, diamonds, bauxite, etc. Over the last few decades, there has been a lot of international pressure to exploit these resources, previously without much concern about the impact it would have on the environment. Gold and bauxite mining often results in large swaths of rainforest being cleared, and depending on the scale of the operation, either massive craters dug out of the earth (at a large scale), or creeks and tributaries dredged out with the toxic effluent often returning back into the ecosystem. Ichthylogical surveys to areas like this have found that these areas are often devoid, or even lacking all together, of the major fish species that would be expected from the area if it were healthy.Many times, with mining and logging operations, the workers turn to the forests for food, and as a result over-harvest “bush meat.” And many times, it isn’t just the workers doing this. I’ve experienced folks coming in to remote areas all the way from Georgetown on hunting expeditions in trucks outfitted with numerous flood-lights and people armed with shotguns. A few hours later they return with a few tapir in the bed, all in areas where hunting is supposed to be off-limits. I think the biggest problem really comes with proper enforcement of the laws. It is naïve to think that Guyana, as a developing nation, can move forward without utilizing its resources. The big thing is to do so in a sustainable manner. I’ve personally witnessed the destruction from mining at all scales, deforestation in regions where it’s not supposed to be taking place, and while it is unbelievably disheartening, I’ve found myself becoming increasingly optimistic. In this day in age, especially with social media, more and more people are speaking up about what is going on. I’ve found that most Guyanese are incredibly prideful people about their country, and rightfully so. There has been an increasing call by the people for accountability of those in charge. I’ve heard the public outcry, often in response and in support of talks and presentations I’ve given throughout the country. They want to know what they can do to ensure the longevity of these habitats so their children’s children can utilize it the way they have. As is often said, the forest there is not only their supermarket, but their pharmacy and building supply store as well. It has been with more and more people throughout the country finding a voice, that I have become as optimistic as I have. I’m just trying to do my part with my research and the images I’ve created to help engage people even more. Lastly, after reading your comments above, I think we would all like to hop on a flight and start working in the rainforest. If we do, what is your advice to young conservationists? 1) Work with Local People – Despite the fact that this has become a requirement by Guyana’s EPA, working with local people is my absolute #1 “tip”. For one, their knowledge of the area is far superior to reading any book or map. They have so much to teach and are always great fun to work with. But one of my greatest rewards has come from what I have been able to teach them. Reptiles and amphibians are often overlooked groups of animals, and any time I get to teach people more about their neighbors, there is no greater reward. 2) Be Patient – Things don’t always go according to plan, and there is a lot of bureaucracy to work with depending on where you want to do your research. It’s never so simple as arriving in the country and heading off to the field the next day. 5) Rubber boots – This recommendation might be more relevant to researchers rather than people visiting for an eco-tour, but I find rubber boots a necessity. Much of my time is spent walking through swamps so these really help to make sure my feet stay dry. 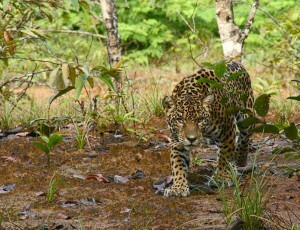 Perpetually wet feet in the jungle can lead to some very bad results. Thanks so much for featuring my work! If anyone has any questions feel free to put them here and I’ll be happy to answer them! Excellent, nice read Andrew…thanks for helping ot educate on and preserve my homeland. I’m delighted to have read about your research Andrew, keep doing what you do best my friend. I’m glad you liked it Leon. You keep doing what YOU do best, you do amazing things for the country! I am going to Guyana for 2 years. Is there any particular guides that you would recommend for the Iwokrama region? Two years…I’m jealous! I’ve worked with many of the guides at Iwokrama and they are all fantastic. I’d have to say though, I’ve personally worked the most with Micah Davis and you couldn’t have a better person. Fantastic Beth! These guys are always so full of personality! The work you do sounds extremely interesting to me! 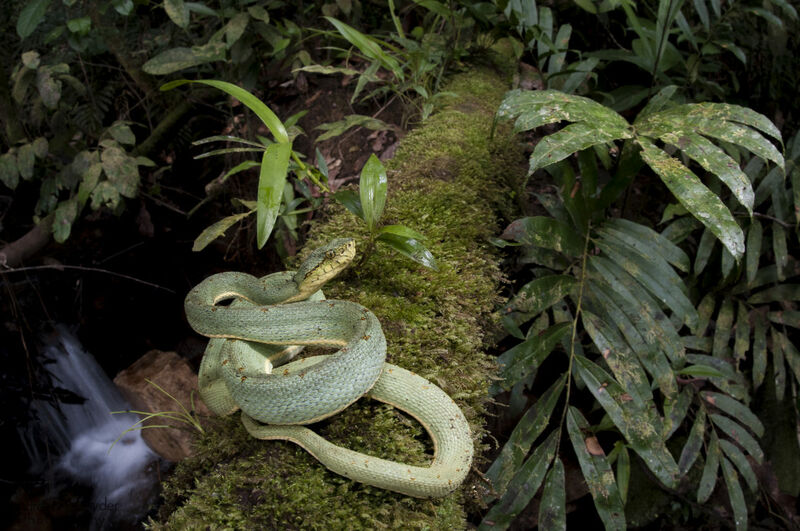 I recently went to the Peruvian Amazon as part of a tropical ecology course, this was my first time out of the U.S. and I was completely blown away by the biodiversity. What graduate schools would you recommend for an undergrad to look at for herpetology and wildlife conservation in the U.S.? What you are going to have to ask yourself is what exactly within herpetology are you interested in. 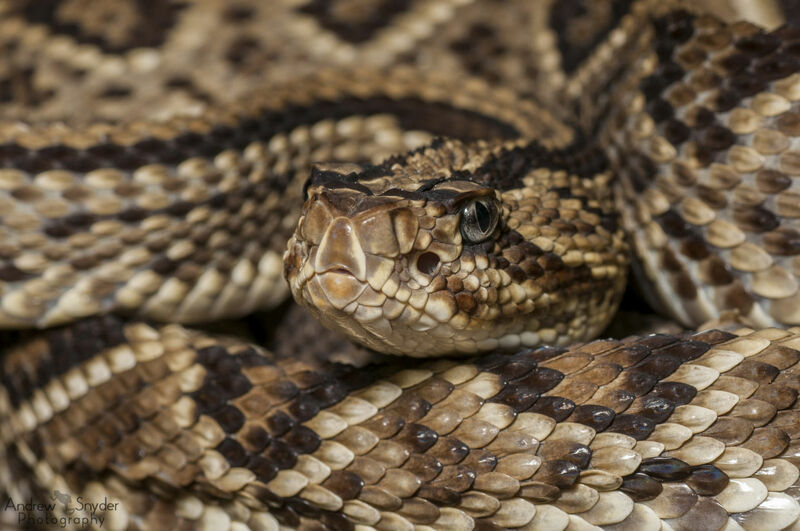 There are professors all over the US that work with herps for their study subjects, but fewer that explicitly consider themselves herpetologists. Do you have a particular country you’d like to work in? Are you interested in studying behavior? I could give a long list, or you are welcome to email me, but what I would recommend doing first is narrowing down what exactly about herps interests you. Then do a search on somewhere like googlescholar with your keywords and you will start finding the publications that would be relevant and help point you in a good direction to start. Don’t hesitate to email me if you have more questions though! Brilliant to see so much conversation about the article, great job Andrew! Thanks for giving me the opportunity to share my work!